All photos by Gabe Archer. 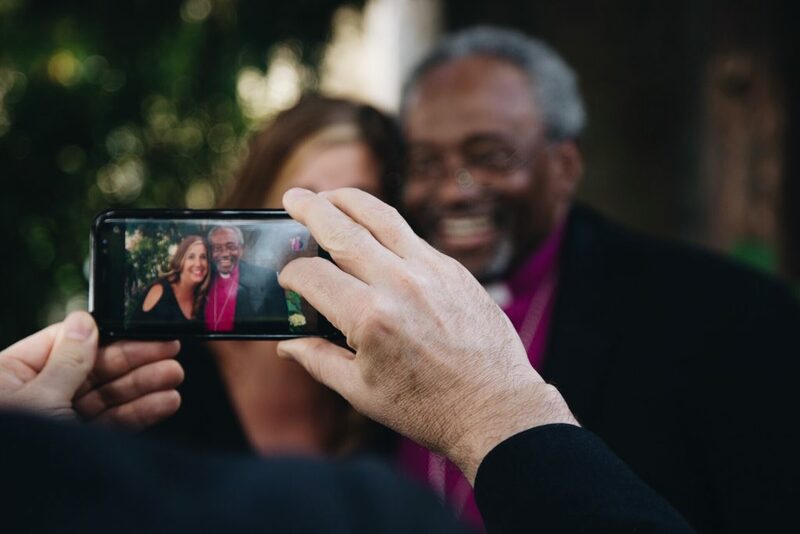 The dust has settled from Presiding Bishop Curry’s whirlwind trip across the Diocese of Olympia, but the enthusiasm stirred up throughout the Episcopal Church in Western Washington remains. 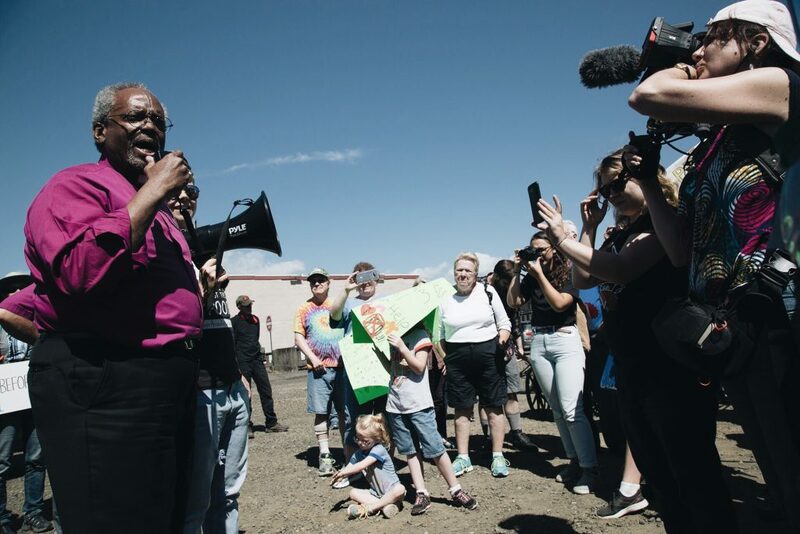 Over four days, the Most Reverend Michael B. Curry, Presiding Bishop of The Episcopal Church, traveled to nearly every corner of the diocese – from Bellingham in the north to Vancouver, WA in the south. He also split his time between larger public events (services and Q&A sessions) and smaller, more intimate gatherings that showed the range of ministries within the diocese. Over the last few weeks we’ve shared highlights and recaps from the Presiding Bishop’s visit to the diocese. 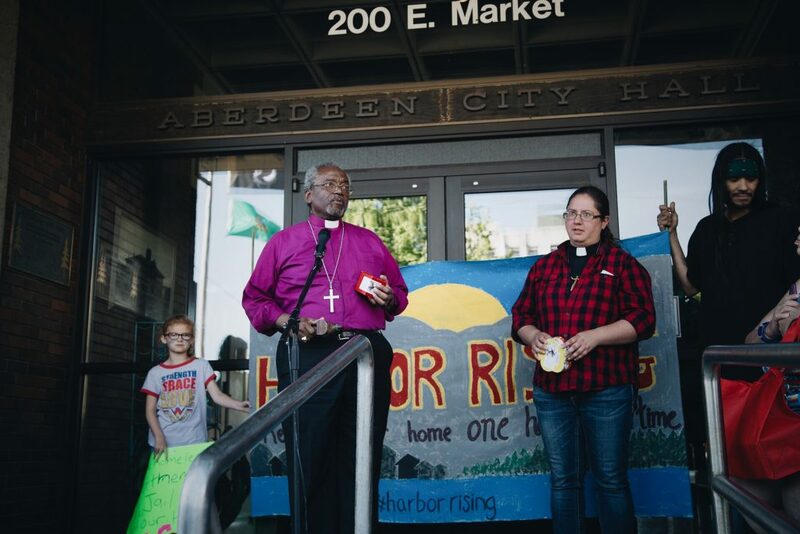 On Saturday, June 16, Presiding Bishop Curry began the day at St. John’s Episcopal Church in Olympia for a Q&A with Bishop Rickel, followed by a trip to Aberdeen to visit the Harbor Roots Farm and a march to Aberdeen City Hall with Chaplains on the Harbor to advocate for affordable housing. 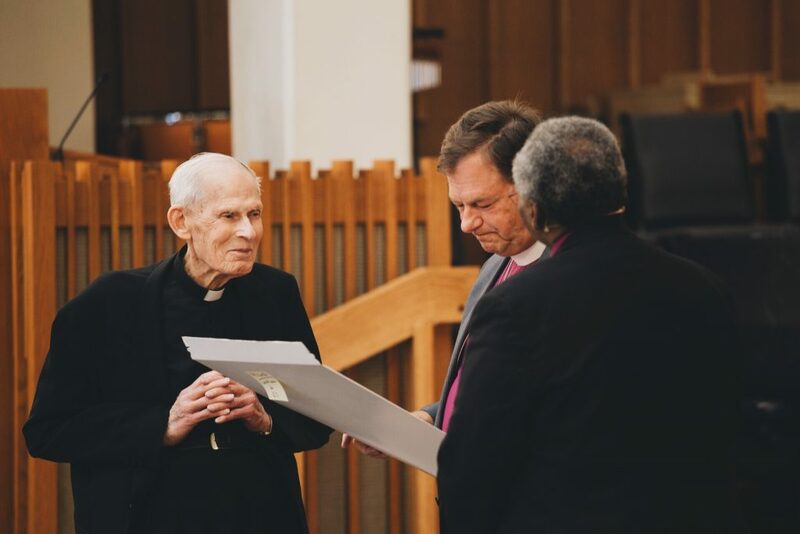 The Q&A in Olympia also included a short break in which Bishop Rickel and Presiding Bishop Curry acknowledged the long service of the 97-year-old Rev. Ed Sterling and make him an Honorary Canon. 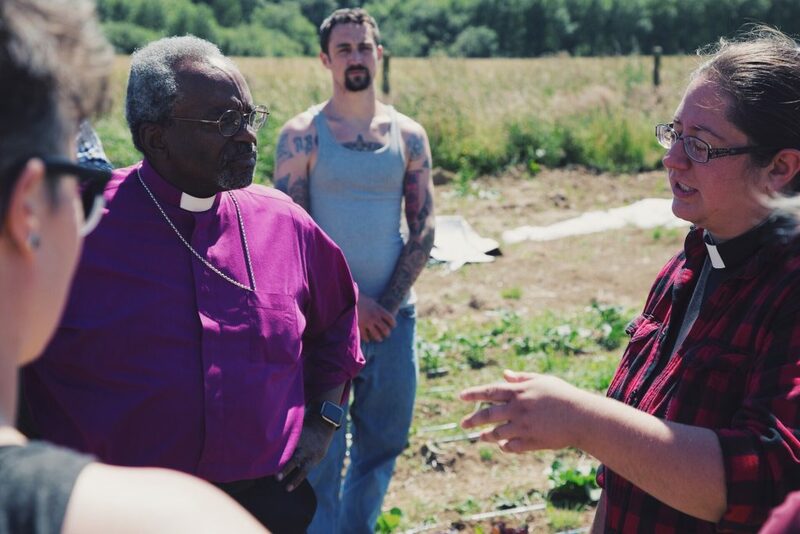 Next up on the itinerary was a trip to the Harbor Roots Farm – a ministry of Chaplains on the Harbor that rents out a plot of land in Grays Harbor Country and creates apprenticeships for people in poverty, providing them with training and living wages. The Presiding Bishop received a tour of the farm from several of the apprentices and the farm’s coordinator. He even tasted some of the fresh lettuce – picked on the spot! It was another day of crisscrossing Western Washington during Presiding Bishop Curry’s visit to the Diocese of Olympia. 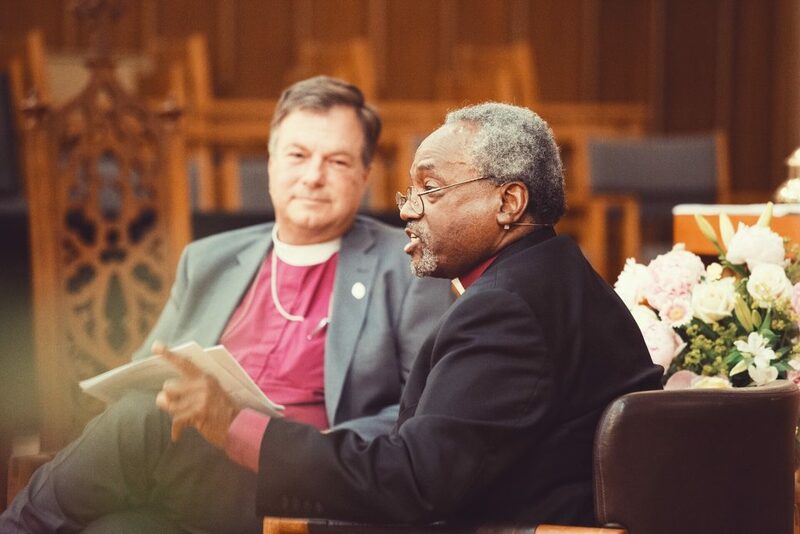 Check back next week for highlights and recaps of the Presiding Bishop’s final day in Western Washington!